YogaOasis’ 200-Hour Yogahour Teacher Training Condensed Format consists of three 7-day sessions, making attendance more doable for traveling students. For help with travel accommodations, contact: rachel@yogaoasis.com. *includes a 75 minute lunch break. Yogahour® is a flow style of hatha yoga that weaves in form via shape, safety, and refinement instructions. The Yogahour Teacher Training program is an approved 200-hour program by Yoga Alliance. Graduates of the program are highly encouraged to register as an RYT at the 200-hour level. This registry makes you a good candidate for getting hired to teach many expressions of yoga. 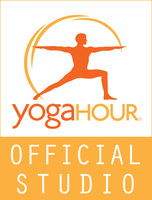 Trainees also have the option to study for, and take the Yogahour test for Yogahour certification. So you can take this training to become a Yogahour teacher. Or you can take this training and not teach Yogahour, but instead use the expert teaching technology to empower your teaching and/or personal practice. · Payment in Full: 10% discount is available to all students if payment is made in full 2 weeks prior to the start of classes, for a total of $2,790.00 (includes $1008 deposit and $25 application fee). · MyCAA Scholarship: YogaOasis meets the standards of MyCAA, which stands for My Career Advancement Account. It provides up to a $4,000 scholarship to eligible U.S. military spouses, who are looking to pursue a certification or degree program. For more information, about MyCAA, or to get started, please visit their site located here: mycaa or Call Military OneSource to speak to a Career Coach at 800-342-9647.